Originally from Canada, Jim has over twenty years of touring experience, opening for great Country artists and legends like, Kenny Chesney, Kenny Rogers, Vince Gill, Bryan Adams, Lee Brice, Lewis Brice, Jerrod Niemann, Travis Tritt, Mark Chestnut, and many more. He also an avid songwriter and loves nothing more than playing one of his songs live. One of his great thrills is playing an up close and personal Acoustic show. ( camp fire style ). Whether it's cranking out some cool Bass riffs or singing and playing acoustic guitar, music is Jim's passion. singing in churches across the country. Tamara is also an accomplished keyboardist and a full time music teacher and runs her own studio with over 30 students. Whether its rocking it out on the keys or delivering an awesome vocal performance, this girl brings it everytime. A veteran of the Chicago music scene and loves to pass on her passion to her students and to the people at one of our shows. Be sure to check her out ( you won't be disappointed ). Gary is a very polished guitar player and can play many styles of music. Whether its ripping off a guitar solo live in front of a huge crowd or sitting down with an acoustic guitar ( camp-fire style ), Gary loves to play all kinds of music and enjoys the challenge of playing country music. Gary is a veteran of the Chicago music scene and really enjoys sharing his gift with everyone. 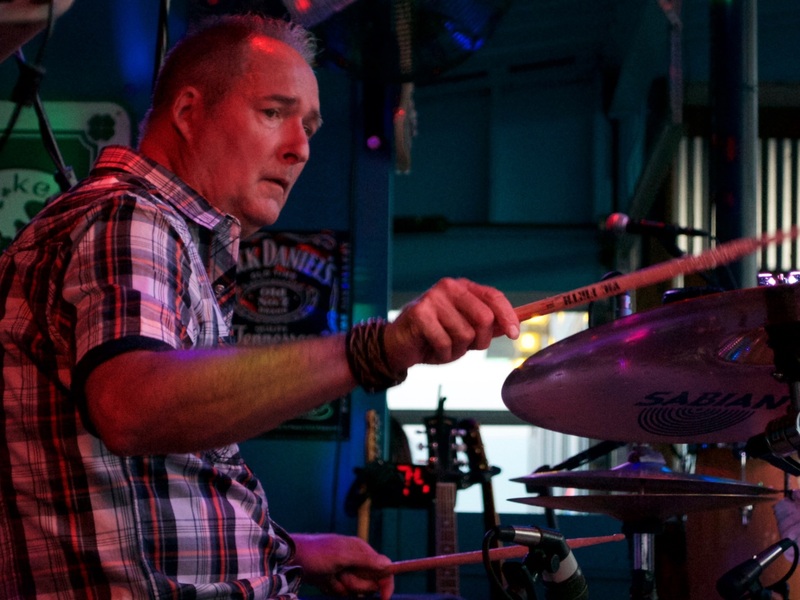 Kevin ( aka - S-K ) is the backbone of the band and supplies the band with a solid rhythm and energy to keep the band grooving. Kevin has been playing the Chicago scene for over twenty years and knows everybody ( seriously ). His skills on the drum kit are second to none and he really enjoys playing a simple acoustic show on the Cajon and percussional instruments. Kevin is also a DJ and does a lot of work with WDSRA and other community organizations and always has a great story to tell. Kev really loves playing music and it shows with his playing.